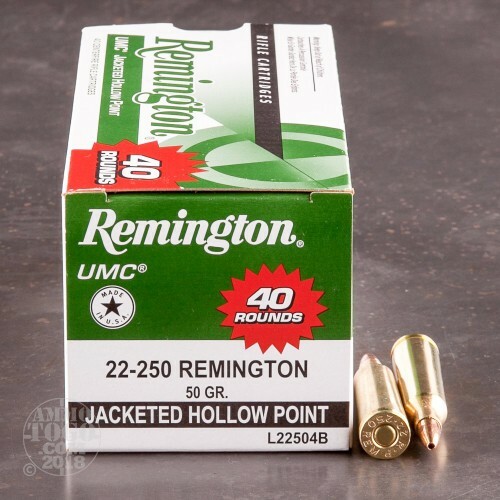 This is 22-250 Remington UMC 50gr. Jacketed Hollow Point Ammo. 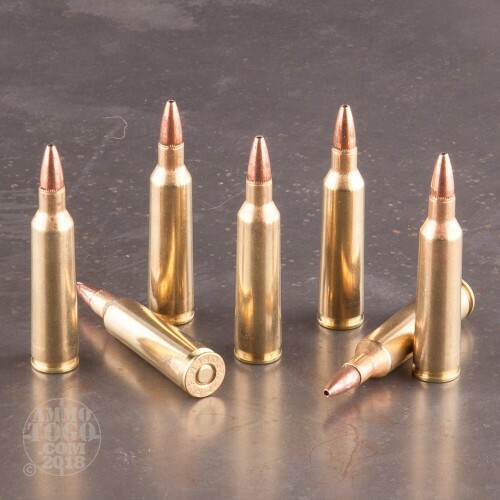 The jacketed hollow point provides great accuracy with rapid expansion. 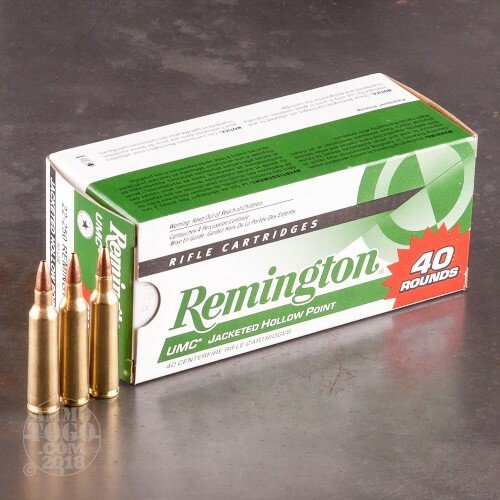 Perfect for practice and varmint hunting. This ammo is brass cased, boxer primed, and non-corrosive. 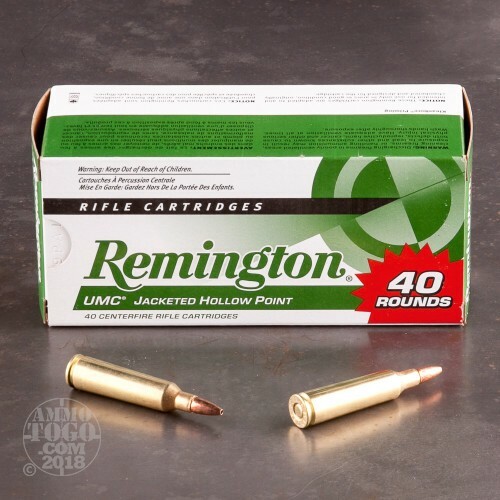 This ammo is packed in 40rd. boxes.